New childcare options will soon be available in Mango Hill as a new facility is set to be built on a recently purchased development site. Expanding childcare service provider LEAD Childcare secured the development site at Mango Hill in Brisbane’s northern growth corridor for $4.85 million. The approximately 1.52ha site at 2 Halpine Drive, Mango Hill, was sold following an Expression of Interest campaign by Ray White Special Project Qld’s Matthew Fritzsche on behalf of private owners. Mr Fritzsche said there was a highly competitive sales process for the site adjoining the North Lakes Master Planned Community with nine formal offers received. “LEAD Childcare was the successful purchaser and they have plans to develop a 200 plus place childcare facility,” he said. Mr Fritzsche said the site has more than 200m of direct frontage to Halpine Drive and is close to the North Lakes Town Centre, Westfield North Lakes and the North Lakes Health Precinct. 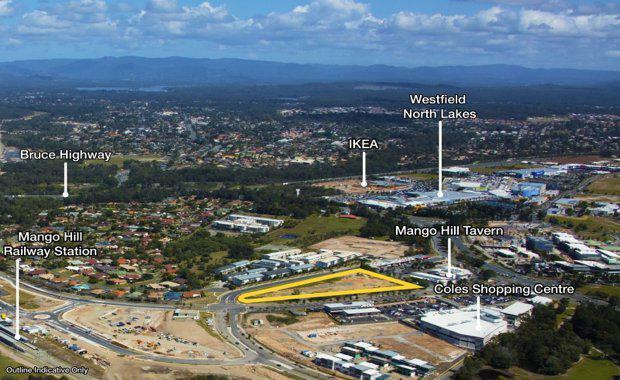 “Coles Shopping Centre is directly opposite the site and you can walk to the Mango Hill railway station,” he said. LEAD Childcare was established more than 10 years ago and owns and operates 15 child care centres throughout Queensland. It aims to provide state-of-the-art facilities, staffed by qualified, passionate educators who provide quality child care and early learning for every child. The new childcare facilities are expected to open this time next year.